Babblings of a Mommy: Noxzema Celebrates 100 Years + Giveaway For You! Noxzema Celebrates 100 Years + Giveaway For You! 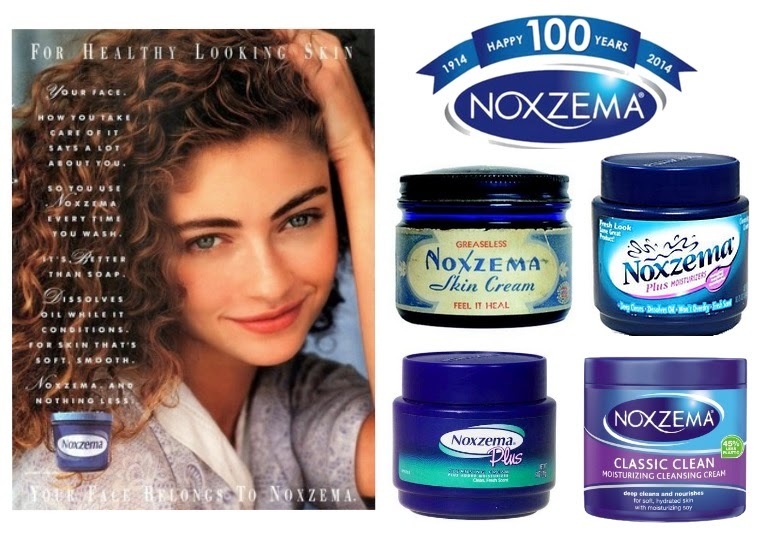 Noxzema looks really good for her age, because the trusted beauty brand just turned a 100 years old!! I remember first using it in my teens, and opening that iconic blue jar, and smelling that signature scent for the first time. I even got a bit nostalgic feeling that deep tingly sensation again while I was testing out some of their new products recently! Developed by a pharmacist in 1914, the Noxzema name was coined after customers claimed the cream had “knocked out their Eczema.” No Eczema = NOXZEMA. In the 1950’s, Noxzema started marketing the product as a skin cleanser and cold cream after a company secretary realized how beautiful it made her complexion look, and by the 80’s, Noxzema had become a household name in the U.S.
Today, Noxzema remains a simple yet effective skincare line, with an average of 17 products sold every minute. 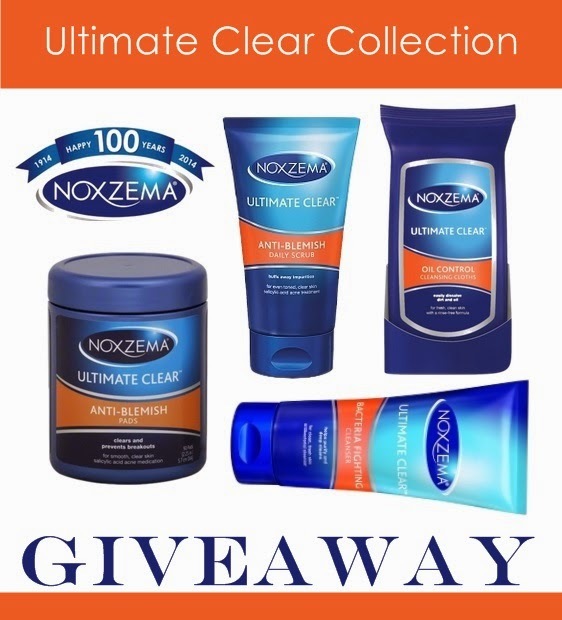 In celebration of their major milestone, Noxzema was kind enough to send over products to giveaway to a lucky reader from the Ultimate Clear Collection! To enter follow the instructions on the Rafflecopter Widget below. I'd like to win this for my 16 year old grandson who is very concerned about his skin. I would like to win this for my 15 year old daughter. I would love to win this for me I love Noxzema! My mom used these when I was younger and I would love to share with my teenager! I am currently pregnant and have horrible acne! Would love to win this! Would love to win for my 13 yr old niece. I have a 15 year old daughter that would love the confidence this win would bring her. because i love noxzema and it would be nice to get a prize pack like this because i don't always splurge on skin stuff for myself! Well this is exciting, I have not used Noxzema in years but when I was younger it was all I used. I would love to win some new Noxzema products to freshen up my face! I would love to win this to help with my oily skin and acne. I'd like to win because I love Noxzema and how my skin feels after using it. I will always remember the smell of noxzema with fond memories of being a little girl and sitting next to my mom while she washed her face with noxzema. Since my mom always had beautiful skin because of noxzema I'm sure this would eork just as well on myself and my 2 teenage daughters. I would love to win this to see if it will help my crazy skin!! I would love to win this for myself and daughter. I have an occasional acne breakout and my daughter struggles with acne. I would like to win this because I love the smell of Noxzema and it works great on sunburns! I have always liked Noxema products and would love to try these. I would like to win this for myself to make my skin look better especially my face. I notice my pores getting bigger around my cheeks. i was using Noxzema cream in high school and after, but I've never tried any of their other products. this would be a great way to do just that! I used to use Noxzema when I was teenager, I would love to try this now to see what has changed! I would like to win this prize because my skin is very oily and I think that this would really help me. i'd like to win because i have annoying and bad-looking adult acne and i've been trying everything i can get my hands on. which, as you may know, is an expensive endeavor. i really need to find something that works. it stinks feeling insecure about your face and not wanting to leave the house. Because I have acne and nothing ever seems to work for me. I've been using Noxzema for years and would love to try their new products and share with my teen daughter. We're huge Noxzema fans!